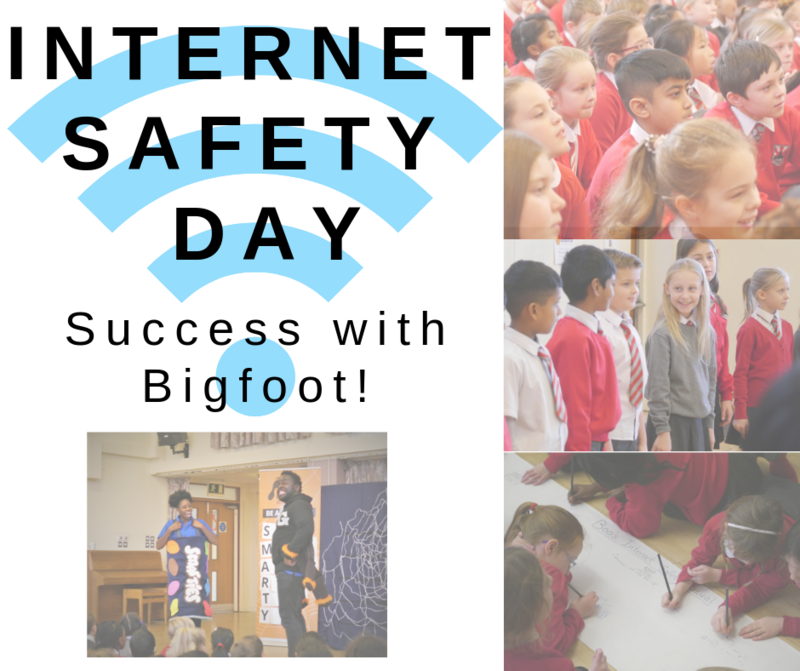 Safer Internet Day 2019 has now been and gone, but we are happy to report that our Bigfooters are still going strong! Delivering workshops and assemblies for ages 6- 11 years, we have been delighted to spread key messages about how our young people can protect themselves and each other in order to prevent breaches of safety online. With two assembly tours operating across the country, as well as various workshop only projects, including for the first time our KS1 ‘Boo Learns to Surf Safely’ package, we have been inundated with schools seeking to provide their students with a creative means through which to explore this often difficult topic. We were also delighted to team up with our delivery partners at Kidscape again, after a successful anti bullying week in November, to fully equip our Bigfooters with the knowledge and expertise to then work effectively within our schools. This year our work focused heavily on spreading internet security and server and programme safety setting messages, as well as where children can look to for help if needed. However, we also investigated how children can develop their own responses to internet safety, especially when it came to restricting their screen time, relationships with other users, and how they relate key safety information back to their parents. To this end, we also delivered over ten parent inset session in schools this year; one hour sessions assisting parents and guardians to define their role in relation to internet security and safety settings. These workshops also allowed parents/guardians the opportunity to get to know the programmes and games their children are currently using, and explore with us different ways in which they can sensitively approach their children about their daily online activity. Tik Tok: A new app used by young people to create and share short videos has also responsibly released information for parents/ guardians related to what they need to know in order to keep their children safe whilst using their app; lets hope all others follow suit!